Pharmapassport / health care / Has The Affordable Care Act Helped Or Hurt Insurers? Before the Affordable Care Act (ACA) was implemented in 2014, insurers raised concerns about their ability to provide healthcare coverage. Insurers had the option of turning down applicants with pre-existing conditions, with some charging higher premiums depending on an applicant’s health history. Now the ACA says health insurance companies can’t turn down applicants or charge higher premiums. Thanks to a decree in the healthcare law stating individuals must obtain medical coverage or face a financial penalty, more people are able to get coverage. This element has raised a number of issues insurers are still trying to work out. In 2014, the individual market saw almost 50 % enrollment increase for health insurance because of ACA. Carriers were facing concerns because they had limited details to go on in getting them prepared for new applicants. Insurers had concerns in three areas. First, they didn’t know how many uninsured people would seek coverage and what the demand level would be. Second, they didn’t know how many people were in good health versus poor health. Third, they didn’t know how many new applicants would seek coverage. The ACA put in place a system to help deter these concerns and give the health care market stability. The system includes 3 areas (also known as three R’s) to help remedy each area. Reinsurance allows insurers to recoup costs from high-cost patients. Risk adjustment helps insurers cover sicker than average applicants with funds moved from insurers with a high number of healthy applicants. Risk corridors allow insurers who overvalued expenses to pay into a fund to assist insurers that undervalued expense costs. The solution seems suitable but how well has this helped insurer financial performance? ACA is believed to have a bigger impact on the future of the individual market place and how insurers will cover health costs. The financial performance of insurers is analyzed through what is called a medical loss ratio (MLR), which includes financial activity and information related to medical claims, premiums, taxes and fees of insurers. This activity is monitored regularly and it plays a role in how insurers are reimbursed for payments. Insurers expect to receive billions in reinsurance payments as long as they file required reports when seeking reimbursement. The MLR helps determine how much insurers will receive in reimbursements depending on data recorded by carriers. Regulators expect to keep the MLR percentage at 80 %; the average percentage rate prior to ACA implementation. During 2014, the percentage has increased between 81 to 87 % depending on insurer. In other words, it looks like insurers were able to accommodate consumer health coverage needs while hitting similar financial performance levels in years before ACA regulations took effect. Insurers may consider increasing costs going into 2016 due to health care trends and changes within the industry to meet more demands. 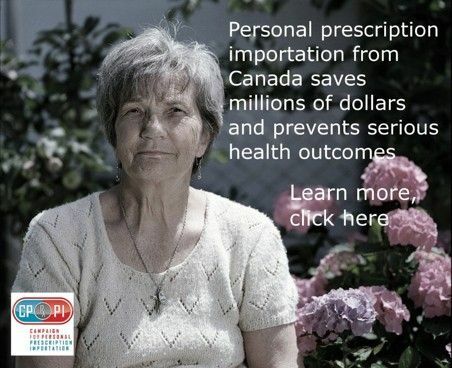 Prescription medicines are one factor that could affect associated coverage costs. Yet, insurers could experience less costs if more healthy individuals obtain coverage. In the meantime, insurers along with state regulators will work to keep costs balanced while justifying premiums.